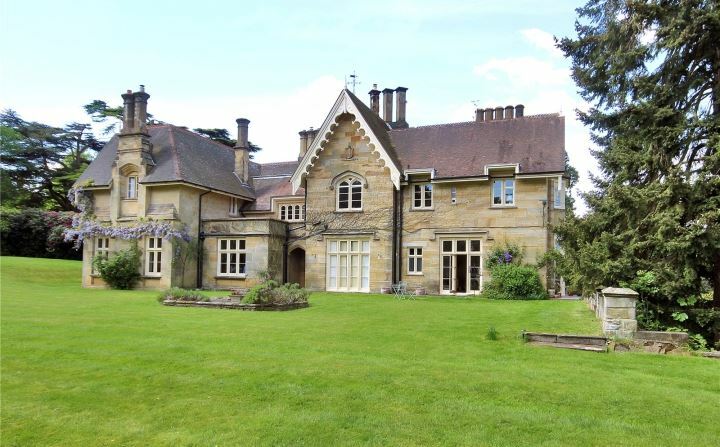 Bentham Hill House, built by Decimus Burton in 1833, is nestled at the end of a private drive in 6 acres of park-like grounds, with easy access to mainline commuter stations in Tonbridge and Tunbridge Wells. For sale by the modern method of auction is this stunning one bedroom first floor apartment situated within a Grade II Decimus Burton building in six acres of communal grounds on the edge of the popular village of Speldhurst with the benefit of open fireplaces, contemporary bathroom and kitchen and off road parking. No chain. 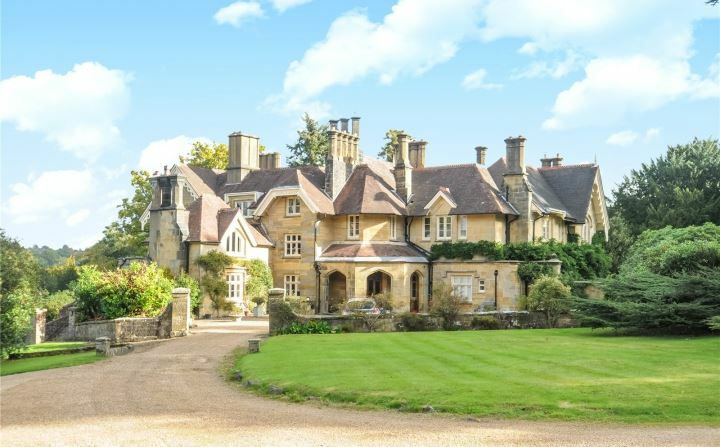 SITUATION: This fabulous former country home was originally built by Decimus Burton (circa 1833) and subsequently divided into apartments in the 1980’s. 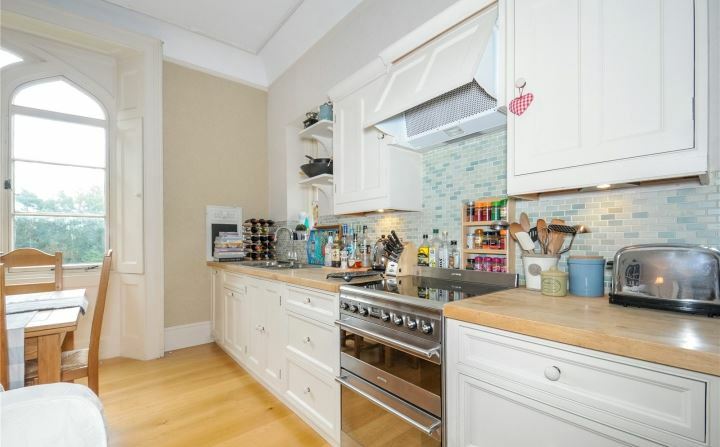 It stands within magnificent well maintained communal grounds of approximately six acres which are one of the property’s most notable features. 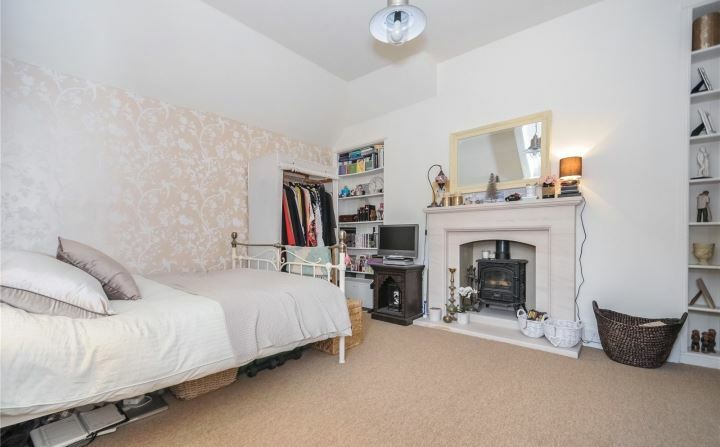 The apartment itself is presented to a high standard throughout. 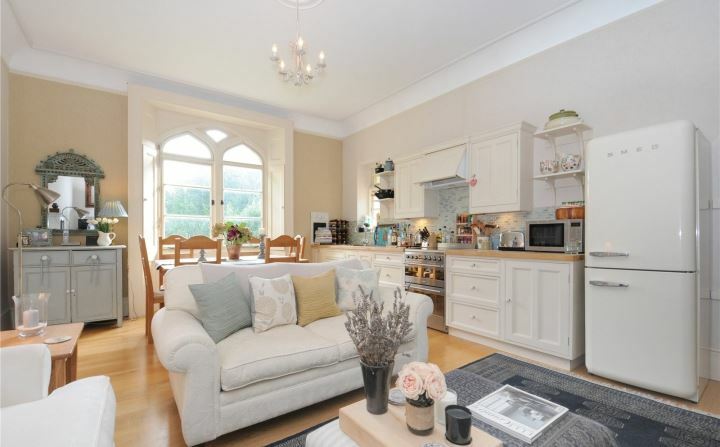 Enjoying a rural location, there is easy access to the centre of Tunbridge Wells and Tonbridge for mainline stations, shops and recreational facilities as well as the village of Speldhurst with its popular school, village pub, church, post office and general store. The property is approached by a long, sweeping drive through parkland, leading to a gravel courtyard. Entry is via the original door with an open stone porch, to a vestibule with large wooden inner doors inset with leaded light windows. TENURE: Leasehold with a share of the freehold between eight apartments (Gemrule Ltd), 999 years from 25.03.2004.